The Hill House Chamber Players return for the 2018-2019 season with concerts selected around the theme "Trio Masterworks." Enjoy an exploration of piano/violin/viola, cello, and clarinet trio variations, with one major trio as the centerpiece for each concert. The players are Catherine Schubilske, violin; Thomas Turner, viola; Tanya Remenikova, cello; and Mary Jo Gothmann, piano.This program is co-sponsored by the Schubert Club. Admission includes a 6:45 pre-concert conversation with musicians and music blogger Emily Hogstad, intermission refreshments, and a post-performance tour of the Hill House. Concerts begin at 7:30 pm. Valet parking is available. For help with online ticket purchases, please call the Brown Paper Ticket helpline listed on their website. 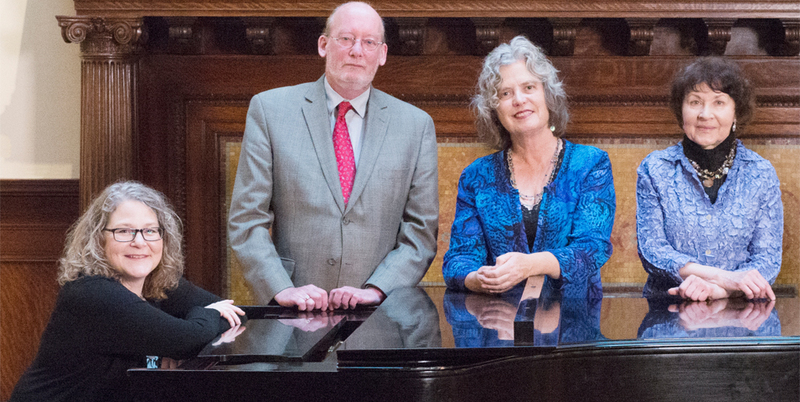 For other inquiries, messages for the Hill House Chamber Players may be left at 651-237-2169 and calls will be returned as soon as they are able.